The last time Markus Naslund was on the ice of Rogers Arena - then known as General Motors Place - the ending left a lot to be desired for him. In what would be his final game in a Vancouver Canucks jersey on April 6, 2008, Naslund, a veteran of 12 seasons in Vancouver, and his teammates were defeated by the Calgary Flames in their season finale after 12 seasons. The following summer, Naslund would sign as a free agent with the New York Rangers, playing the 2008-09 season in Manhattan before announcing his retirement after one season with the Blueshirts. Naslund finished his Canucks career as the franchise's leading point-getter and goal-scorer, ranking just ahead of Smyl and Linden, having notched 346 goals and 410 assists during his time in Vancouver. His eight years as team captain also match the record set by Smyl as the longest to serve in the role. 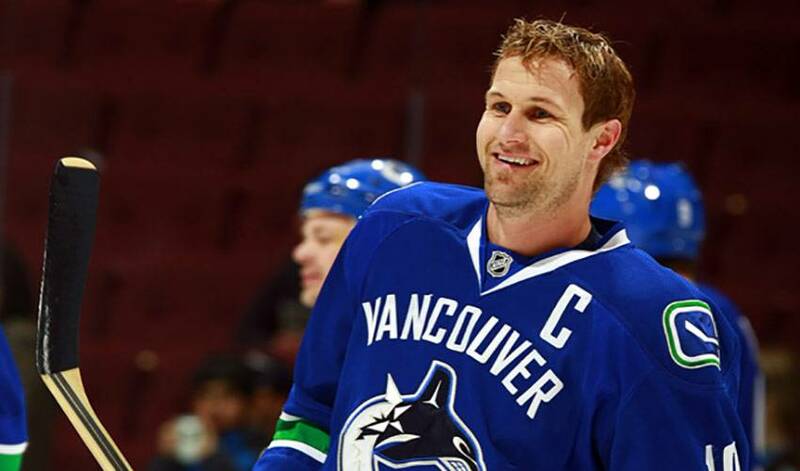 Despite his impressive resume as a Canuck, the notoriously humble Naslund was surprised to get the call informing him of the club's plans to honour him. His season in New York allowed him to get a first-hand perspective on the kind of ceremony that he will be the focus of on Saturday night. Naslund was on the ice as the Rangers retired the numbers of Adam Graves, Harry Howell and Andy Bathgate in front of a raucous crowd at Madison Square Garden. Even after seeing these types of ceremonies in the past, Naslund is still unsure of how exactly he will handle the emotions of the moment when he takes the ice in front of the Vancouver fans. Naslund arrived in Vancouver for the first time on March 20th, 1996, after being traded from the Pittsburgh Penguins for Alek Stojanov. Both players had been first-round draft picks, yet struggled during their times in the respective cities, and the trade was looked upon as a way to give both a fresh chance. Stojanov would only play parts of two seasons for the Penguins before leaving the NHL, but Naslund shone, reaching tremendous heights in Vancouver. That turnaround included a 104-point season in 2002-03, a season that saw him honoured by his fellow NHLPA members as the recipient of the Lester B. Pearson Award (now known as the Ted Lindsay Award), as well as five trips to the All-Star Game, numerous occasions where he suited up for Sweden in international competition, including two World Cups and the Olympics in 2002. Naslund mentioned the Pearson Award, which is voted on by NHLPA members and presented to the player they deem to be the ‘Most Outstanding' for that season, when discussing where Saturday night's ceremony will rank in his career accomplishments. It promises to be a special night for Naslund, his friends and family, the Canucks organization and the fans in Vancouver.